Bernie & Phyl's Furniture Blog » A Loveseat for Valentine’s Day! A Loveseat for Valentine’s Day! Valentine’s Day is fast approaching and notions of love fill the air. Chocolates, flowers, candlelit dinners, and…loveseats? Yes! Why not take advantage of this most romantic of holidays to add a new loveseat to your home, perfect for snuggling with your significant other the whole year ‘round! Although today we think of loveseats as the perfect place for two people to cuddle, this unique piece of furniture—also called a settee—was initially created in the late 17th and early 18th centuries as a way to accommodate women’s fashion at the time, which involved dresses composed of huge amounts of hoops and fabric. The loveseat allowed a single woman to sit comfortably and arrange her gigantic dress properly. These early loveseats often had high backs and armrests, and were intended to be more fashionable than they were comfortable. Today, loveseats are very practical additions to your home. In addition to providing you and your special someone with a cozy spot to unwind, they are ideal for small spaces and some loveseats are available as pull-out sleepers to provide overnight guests with a comfortable full-size mattress. Reclining loveseats allow you to sit back and relax (hand-holding is optional), perfect for watching a movie together. What is your budget? 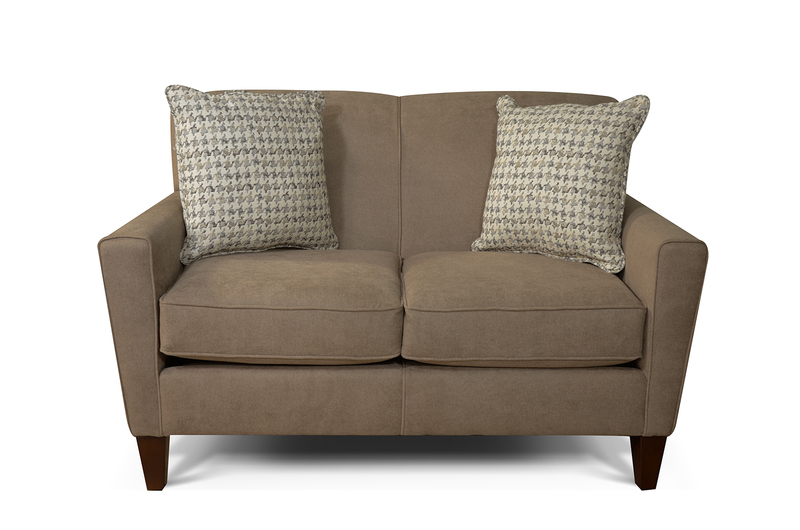 Decide how much you want to invest in a loveseat before you begin shopping. Consider your room size and your other furniture in the room. Make sure there is adequate space to fit the piece where you want it. Also measure your entryways and hallways to ensure you can get your new loveseat (or any piece of furniture) into your home before you begin shopping. Do you want a standard loveseat or one that reclines? Do you want power reclining, and if so do you have a power outlet near where you plan to place your loveseat? 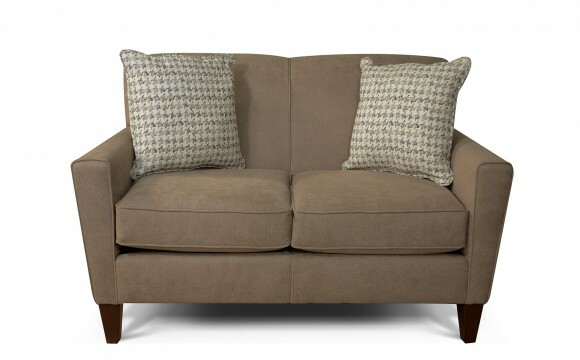 Consider the style of loveseat that fits your style. Whatever your home’s décor, you’ll want to find a loveseat that blends well or complements your existing style, from the shape of the arms and curve of the legs to the design & color of the pillows. What are the cushions made from? Whether foam, down or a mix of both, the higher the density of the foam, the more comfortable the loveseat will be when you’re curled up on it. Do you want fabric or leather? If leather, what type of grain is the loveseat? Is it a faux leather or performance factor? Take into consideration whether you’ll be eating or drinking while enjoying your loveseat. How easy will it need to be to clean? Maybe the easy cleaning option of Sunbrella fabrics is right for you. Do you want a loveseat with a pull-out mattress for extra bedding? Are you ready to add a new loveseat to your home in time for Valentine’s Day? Below are 8 of our most popular styles at this time; you can see all of our great options here. If you have children or pets at home that will be enjoying your new loveseat too, taking advantage of a protection plan is a wise investment! Bernie & Phyl’s offers a protection plan to cover your new furniture for 5 years. Learn more here.